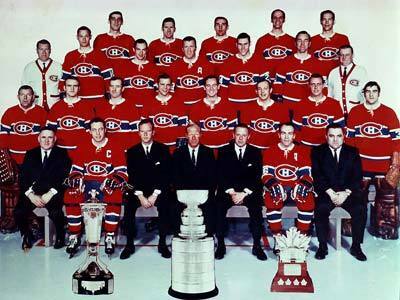 The 1969 Stanley Cup Final was a best-of-seven series played from April 27 to May 4, 1969, between the defending champions Montreal Canadiens and the St. Louis Blues, the same finalists as in 1968. The Canadiens would win the series in four-straight games. Montreal defeated the New York Rangers 4–0 and the Boston Bruins 4–2 to advance to the finals. St. Louis defeated the Philadelphia Flyers 4–0 and the Los Angeles Kings 4–0. Claude Ruel became the eleventh rookie coach to win the Stanley Cup. Montreal goaltender Rogie Vachon limited St. Louis to three goals in four games and his first career playoff shutout. Montreal coach Claude Ruel became the 11th coach in NHL history to win a Cup in his rookie season. The Canadiens lost only two playoff games en route to defeating the St. Louis Blues in the finals for the second straight season. Montreal goaltender Rogie Vachon held St. Louis at bay, allowing only three goals in the four games. The Habs Serge Savard became the first defenseman to win the Conn Smythe Trophy as playoff MVP with a strong two-way performance.